XG Elte high capacity, low latency, VLAN aware, integrated radio is equipped with a high gain 24dBi antenna ideal to support a multitude of concurrent TCP/IP base services including LAN, MPLS, M2M, small cell backhaul, VoIP and high-resolution video. 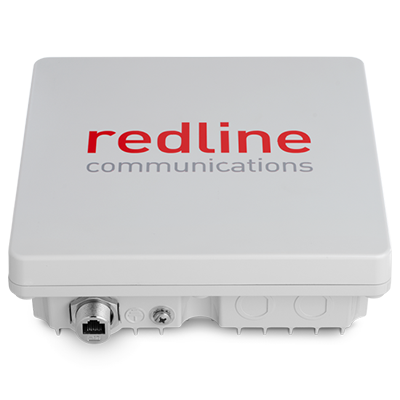 This radio terminal operates in fixed frame mode to control jitter and latency making it an ideal choice to backhaul LTE systems or any applications where jitter and latency needs to be tightly controlled. No extra equipment is required to setup fix frame. Each radio comes equipped with an integrated GPS antenna and GPS circuit. The supported software selectable channel sizes are 10/14/20/28/40MHz with ability to deliver aggregate link speeds up to 330Mbps in a PTP or PMP radio topology. The availability of channel size is restricted by regional regulations or product options. The Elte XG operates between 4.9 – 5.8GHz. The integrated form factor reduces installation time with one standard 802.3at PoE connection to the 10/100/1000Mbps (Gig E) Ethernet interface. The supported security feature are ECDSA certificate authentication, management security (HTTPS, SSH, and SNMP V3), and AES 128/256 data security. © 2019 Redline | Redline Communications. All Rights Reserved.